Why Start Smart for Your Teenager? We are honored to offer the California Highway Patrol (CHP) Start Smart program to students during our Drivers Education classroom program. Officer Kellogg from the CHP is a regular face in our Driver Education classroom to present this program. 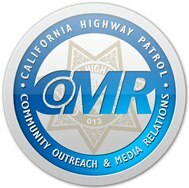 The California Highway Patrol Community Outreach & Media Relations tries to get our accident and fatality rate down. Start Smart is one of the programs designed to help promote safety and communication between the California residents and the CHP. Did you know Teen drivers are found at fault in 66% of ALL FATAL collisions that they are involved in, although they only represent 4% of the state’s licensed drivers? CHP officers like Officer Kellogg discuss traffic collision avoidance techniques, collision causing factors, driver/parent responsibilities, and seatbelt usage during Driver Education. Additionally, testimonies are provided by officers who have investigated fatal collisions involving teens, and by family members who have lost love ones in traffic collisions. This program is offered through the CHP in your area and has been a huge impact on the community. This course is included in Roadrunners regular curriculum at no additional charge to you. Don’t miss this opportunity for your new driver to listen to CHP Officer Kellogg as he talks about real life situations here in the area! Give your teenager the best driving experience through their journey as a responsible licensed driver – Enroll them today! Be the example – How will You take an active role in your new driver’s learning?